Description: Mt Graham Regional Medical Ctr is a business categorized under physicians & surgeons, which is part of the larger category offices of doctors of medicine. 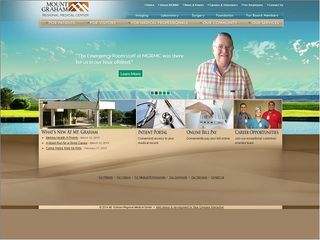 Mt Graham Regional Medical Ctr is located at the address 2240 West 16th Street # B in Safford, Arizona 85546-4081. The CEO is Pat O'Brien who can be contacted at (928)348-4294. Location & access map for "Mt Graham Regional Medical Ctr"